WEG Central: FEI: Presidential Election: ROTTINGHUIS ANNOUNCES O’CONNOR AND HODSON AS HIS FEI VICE PRESIDENTIAL CANDIDATES. FEI: Presidential Election: ROTTINGHUIS ANNOUNCES O’CONNOR AND HODSON AS HIS FEI VICE PRESIDENTIAL CANDIDATES. 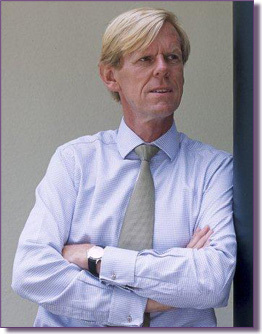 Henk Rottinghuis, Presidential candidate for the Fédération Equestre Internationale, the international governing body of equestrian sport, today announced that he would be joined in the Presidency by two of the most respected names in equestrian sport. They are 2000 Olympic gold medallist, current President of the United States Equestrian Federation, Chair of FEI Group IV and FEI Bureau member, David O’Connor, as 1st Vice-President; and as 2nd Vice-President, the current holder of the office, leading New Zealand lawyer Christopher Hodson, who is generally perceived as a guardian of continuity within the FEI and has recently announced his willingness to serve Mr Rottinghuis. The announcement has been made ahead of the election at the FEI General Assembly election in Chinese Taipei on 5 November 2010. 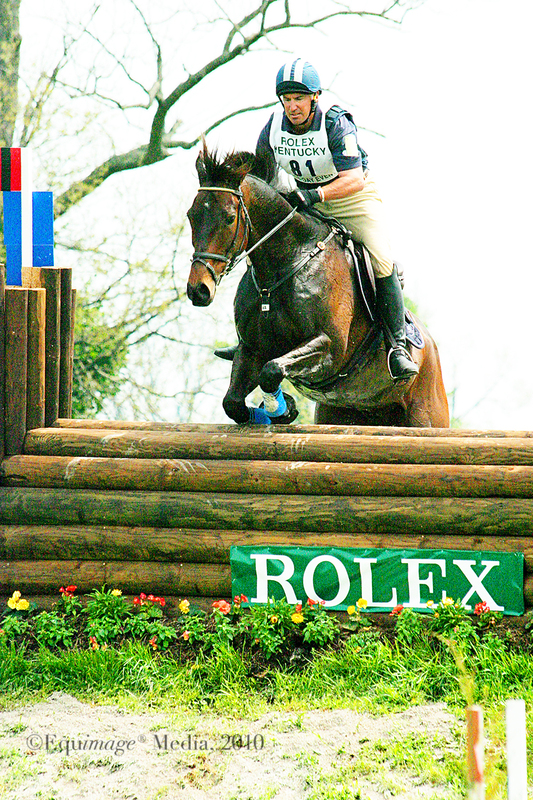 Mr Rottinghuis said “The composition of this team fits perfectly with the needs of the FEI. I am very happy that both David and Chris have subscribed to my Agenda. “To achieve this Agenda, which the federations have themselves requested, we need individuals with great knowledge of the sport, experience of the requirements and cultures of federations across the world, sound commercial principles and great integrity. I am confident that this team delivers that and much more. 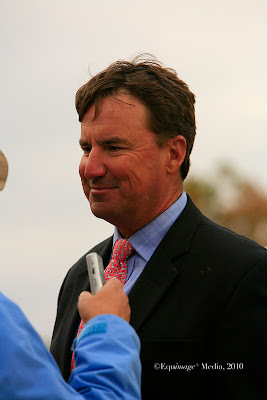 “It is testament to the strength of the Agenda that both the US Equestrian Federation, the largest equestrian federation in the world, and two people of such individual qualities, who have themselves been talked about as presidential nominees, have recognised the task that lies ahead and agreed to act as my partners in our quest to deliver the Agenda. “There is much to be done, not through ‘change’ but through a fresh approach that safeguards and builds on the FEI’s successes to date, not one which abandons them and starts all over again. David’s in-depth knowledge of the sport and athletes across the world, as well as his leadership of his federation, represents a good example of cooperation of established and developing countries, both small and large. This, coupled with Chris’ commitment to continuity, integrity and development, complement the skills that I bring,” said Mr Rottinghuis. Upon election by the FEI General Assembly on 5 November 2010, the President-elect will be asked to immediately provide the Chair of the Nominations Committee with his or her nominations for the positions of First and Second Vice Presidents, along with their curriculum vitae (signed by their supporting National Federations), from among those candidates submitted by the National Federations to the Secretary General by 1 October. The candidates will thereafter be presented to the General Assembly for election. Presidential candidates are not required to disclose the name of candidates for the positions of the First and Second Vice-Presidents by 1 October 2010. However, the pool of candidates from which they can select vice-presidents will be determined by 1 October 2010. As a matter of transparency and clarity, the FEI submits to the National Federations the pool of available candidates for all Bureau positions, including vice presidential positions, four weeks before the General Assembly. Two-time Equestrian of the Year and only the fourth American to win Individual Gold in Equestrian sport, David O’Connor’s success has made him a living legend. His Individual Gold medal in Sydney in 2000 was won with the best score in Olympic history, and in a four year span he won medals at the Pan American Games, the Olympic Games and the World Championships − all with the same horse. An integral part of the U.S. Eventing program for nearly two decades as an athlete; O’Connor has grown even more prolific since his retirement in 2004. He is the president of the United States Equestrian Federation (the National Governing Body of Sport), chairs two committees for the FEI (the International Governing Body of Sport). He is also Bureau Member of the FEI. He teaches dozens of students and continues to train young horses. Wife Karen, who was also a member of both the 1996 and 2000 Olympic Teams, is the reigning Pan American Gold Medalist and together they have built an empire in the sport. They are the only husband and wife team in history to have been on two medal winning teams together. O’Connor’s commitment to the Olympic movement is evident on every level, from teaching and training young horses and riders to designing competition courses. But it is his governance and the vision he has had for the USEF and the sport that put him in elite company. His dedication to youth, building programs and guiding our high performance programs is second to none. 1998 Appointed one of Her Majesty’s counsel. 2002 – date Chair, New Zealand Organization for Rare Disorders Inc.
As Second Vice President of the FEI I have been involved in many issues; including international development of the sport, its increasing commercial profile, its anti-doping campaign, the resolution of international disputes involving national federations under the International Olympic Committee, the provision of legal advice and support to the Headquarters of the FEI, representation of the President at international competitions; and recurring advice on internal issues.